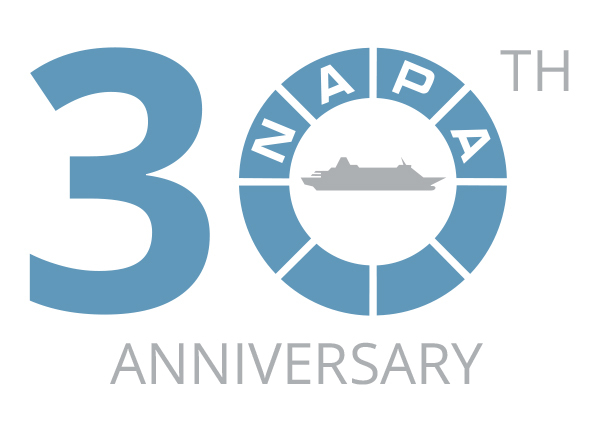 In its 30 years of operation, NAPA has become a global leader in software, services and data analysis for the maritime industry; providing data-led solutions for safety, efficiency and productivity in both ship design and operations. Headquartered in Finland, NAPA employs 180 people in the fields of naval architecture, shipping and information technology. NAPA Group has presence in Japan, Korea, China, Singapore, the USA, Germany, Greece, Romania and India. NAPA software are used by shipyards, owners, designers, classification societies, research institutes, authorities and consultancies around the world. NAPA has more than 400 user organizations for design application and over 2,500 installations onboard. From its beginnings as a small business unit at the Wärtsilä shipyard in Finland in the 1970s, to becoming a truly global company with nearly 200 employees in ten countries around the world, NAPA’s growth has been a testament to focus, quality and expertise. Join us in NAPA’s 30th anniversary celebration and follow our story in series of postings throughout the year.